The spring equinox occurred at 6:29am EDT (10:29 GMT) in the northern hemisphere as the sun crossed directly over the Earth’s equator, officially heralding the season of spring. The spring equinox takes place on March 20 or 21 every year as part of four seasonal astronomical events that impact the earth – the autumnal equinox which will mark the beginning of autumn on September 22 and the summer and winter solstices. After the equinox, Earth eventually reaches a point where its tilt is at the greatest angle to the plane of its orbit. This is the ‘solstice point’ where one half of the planet is receiving the most daylight and the other the least. It happens twice a year, giving us our longest and shortest days and marking the transition to summer and winter. The vernal equinox is celebrated by pagans and wiccans as a time of rebirth and renewal. ‘Ostara’ is one of eight holidays, known as ‘sabbats’, on the modern pagan calendar. The Anglo-Saxon and Germanic goddess of fertility, Ēostre, aka Ostara is honored at this time, with similar gifts to the Christian celebration of Easter – eggs, rabbits and sweets, according to Beliefnet. 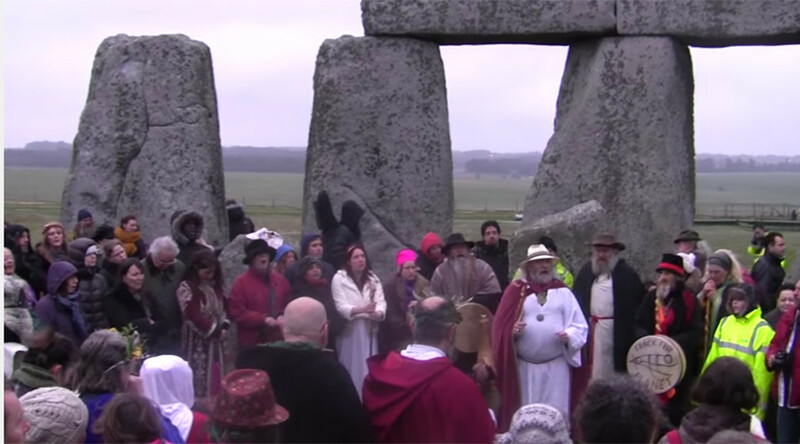 Many observers of Ostara celebrate the festival at England’s famous prehistoric monument, Stonehenge, in a manner similar to solstice celebrations. People gathered at the site before sunrise Monday to mark the occasion.